During the Múuch'tambal on Indigenous Experience the participants identified the importance of respecting, preserving, maintaining, promoting and using traditional knowledge, innovations and practices, in the management of local ecosystems, and the role of the customary use of biodiversity, for the achievement of the Aichi Targets and the Sustainable Development Goals. -Although indigenous peoples and local communities bear the disproportionate brunt of environmental degradation and climate change, they are at the epicenter of developing local sustainable development solutions. -IPLCs are innovating, experimenting, and taking risks to create new governance models, new seed varieties, new management practices, new financial mechanisms. At the same time they are reviving traditional knowledge and traditional practices, such as respecting the sanctity of sacred areas, and maintaining traditional farming, forestry and fisheries practices. -To achieve the Sustainable Development Goals, the global community, together with IPLCs and governments, must take action to secure and safeguard the rights of IPLCs over their land and water. -Action is also required to take action to accelerate learning, identify local sustainable development solutions, and share these globally. 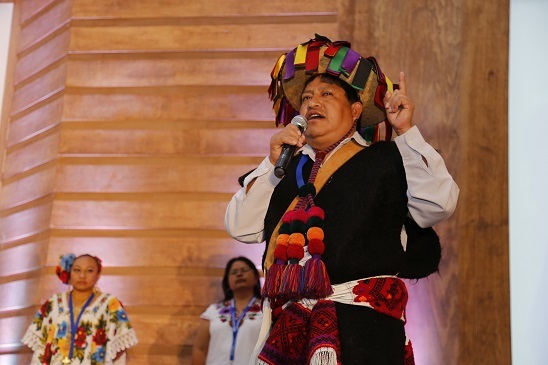 It will also be important to foster networks among indigenous peoples and local communities; give voice to community members who are on the forefront of innovation and integrate them into global dialogues; provide capacity to tell their stories; and help to scale up local solutions to solve national challenges. - Promotion of certification and carbon schemes can support sustainable use of forests. - Mapping of IPLC territories is a key activity for the conservation and sustainable use of natural resources. - IPLCs play a key role in the conservation of marine biodiversity through locally managed marine protected areas. - Community protocols are important to establish the foundations for equitable and sustainable local economies based on biocultural goods and services, and to build community capacity to negotiate equitable agreement with third parties. - Respect, protection, and fulfillment of IPLCs’ collective and individual human rights by states and third parties is crucial to achieve the SDGs and Aichi targets. - IPLCs require legal, policy, financial, and technical support for their community strengthening efforts. - IPLCs are and will continue to contribute to sustaining and enhancing biological and cultural diversity and to mitigating climate change. • IPLCs bear the disproportionate brunt of environmental degradation and climate change, yet are at the epicenter in developing local sustainable development solutions. • IPLCs are innovating, experimenting, taking risks and learning, with new governance models, new seed varieties, new management practices and new finance mechanisms, while at the same time reviving traditional knowledge and traditional practices, such as respecting the sanctity of sacred areas, and maintaining traditional farming, forestry and fisheries practices. • To achieve the sustainable development goals, the global community, together with IPLCs and governments, must take action and relentlessly safeguard the rights of IPLCs over their land and water. • Action is required to accelerate learning, identify local sustainable development solutions and share these globally. • Action is needed to foster networks between IPLCs; to give voice to community members who are on the forefront of innovation and integrate them into global dialogues; to provide capacity to tell their stories and help scale up local solutions to solve global challenges. • Mapping of territories as key activity for the conservation and sustainable use of natural resources. • Respect of the intrinsic link of IPLCs with their lands and nature, and the importance of implementing holistic approaches to land use and natural resource management practices. • Importance of community protocols to establish equitable and sustainable local economies based on bio-cultural goods and services, and building community capacity to negotiate equitable agreements with third parties. • Respect, protection and fulfillment of IPLCs collective and individual human rights by states and third parties crucial to achieve the SDGs and Aichi targets. 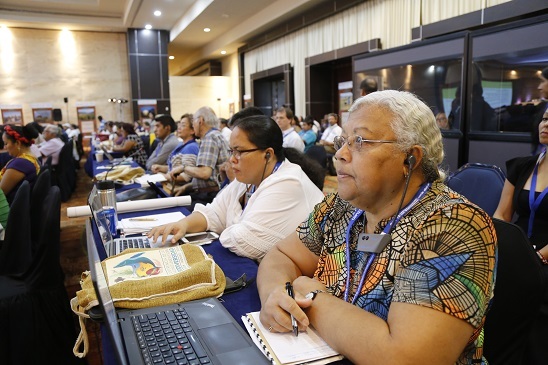 • IPLCs require legal, political, financial, and technical support for their community strengthening efforts. • IPLCS help sustain and and enhance biological and cultural diversity, and help mitigate climate change. • Importance of developing policy and programs that benefit communities and landscapes. 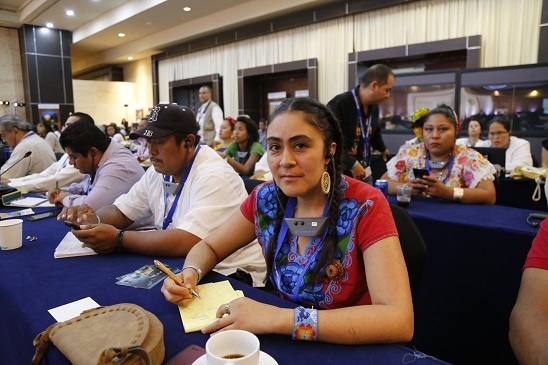 IPLCS taking part in the Muuch’tanbal Summit on Indigenous Experience participated in the drafting of two closing statements: one from IPLCs from Mexico and another from IPLCS from around the world (including Mexico).